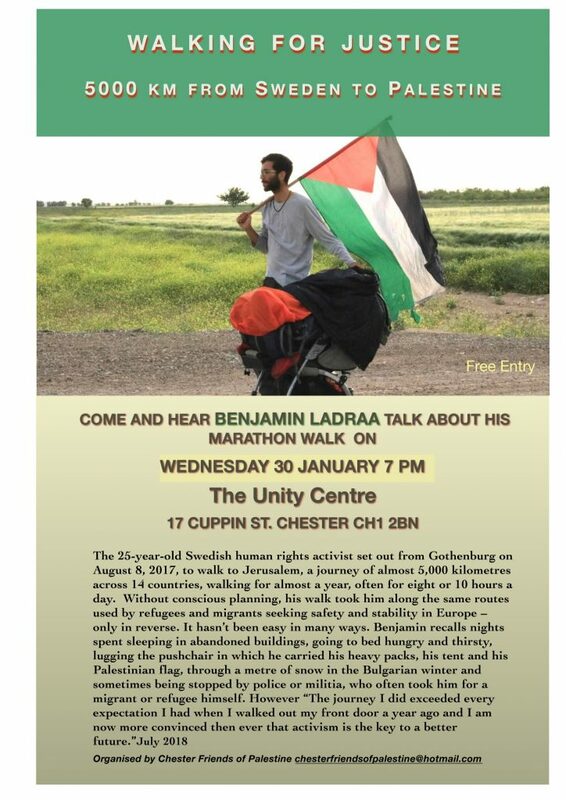 Come and hear Benjamin Ladraa talk about his marathon walk. The 25-year-old Swedish human rights activist set out from Gothenburg in August 2017, to walk to Jerusalem, a journey of almost 5,000 kilometres across 14 countries, walking for almost a year, often for eight or 10 hours a day. Without conscious planning, his walk took him along the same routes used by refugees and migrants seeking safety and stability in Europe – only in reverse. All welcome, Free entry.